OBO are the first and only company that make kickers that fit my size 12 feet properly. All other companies just increase their kickers length ways rather than the whole dimensions like Obo. 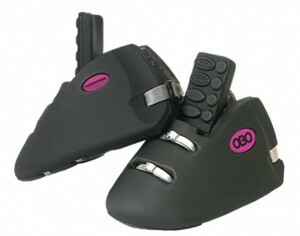 Therefore the Obo kickers offer better protection and fit me better too. The Kickers are also a lot more hard wearing, my previous kickers were made by gluing foam together and so after only 3 training sessions they were starting to come apart. The rebound of my new Hi Rebound kickers is much more consistent than I have ever experienced, the rebound on my previous kickers used to vary from day today and was never as strong. Another great plus point about the Kickers is the straps. It’s the first time I have ever been able to do my kickers up really tight and have them stay like that for a whole game! 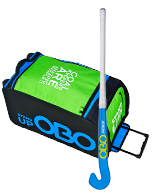 I am also delighted at the way the Obo kickers sit flat to the ground, my previous Mercian kickers had about a inch gap between the kicker and the ground so it was very painful if I got a ball near the end of the kicker. 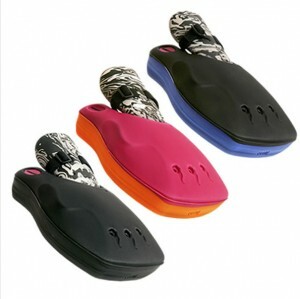 The new softer tongues also caused no problems to my shins. I just taped them down over night and they were fine the next day. 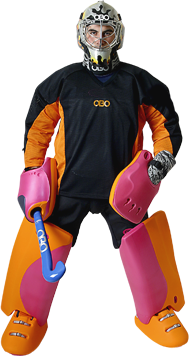 The main thing I love about the Hi Rebound legguards are the wings. Being a goalkeeper that in the past has suffered the ill fate of collapsible wings I love the way the wings stop the ball when logging for shorts. I am also a big fan of the tongue system, which means the pads don’t twist. My previous legguards used a strap to join the legguards and kickers but it still lead to a bit of twisting, which was annoying, as I had to keep twisting them back after every slide. The other great thing about them is on my old pads I regularly got balls stuck between pad and kicker, the new Hi Rebound’s don’t let this happen, the ball pings back out to safety instead! I also like the new shape of the pads, they are a more rectangular shape which I am a fan of. It did take a while to get used to sliding in them but they now work extremely well. The smooth surface they have means they slide very easily, unlike my old pads, which had designs on the front that meant sliding wasn’t very good. The new shape Hi Rebound’s also mean I can slide much easier and can slide in the new L shape position much easier and get to my feet quicker. The legguards also fit me a lot better than other companies do. They come up above my knee, which is great, as before I had to wear kneepads but the Hi Rebound’s mean I don’t! They are also a lot harder wearing, the foam doesn’t get chunks taken out of it really easily like my Mercian stuff did. 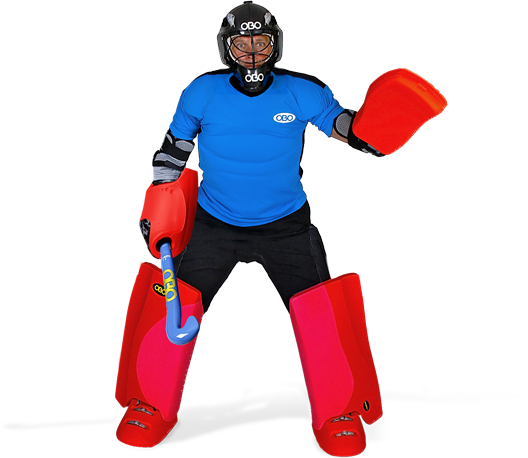 The new two-type foam is also great as I get great control when sliding out and logging, but get good quality and constant rebound when I make a Legguard save!  The softer foam where your calf sits is also great as this was something in the past I had preferred on other brands kit, but obo have obviously seen this and added it to their new pads. I love it, what more can I say! It covers my lower arm which me previous gloves never did, this is great as I wear elbow pads so this means I only have a tiny gap between my glove and elbow pad. I also love the powerful rebound its fantastic for clearing those lifted shots. I also find I have much greater movement than I did with my old glove which is a really important factor. 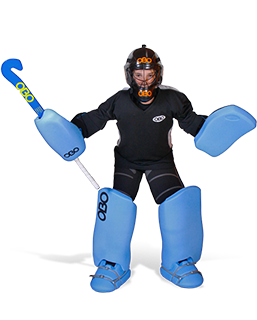 The thing I love most about the new Hi Rebound range is that it does everything I want it to do as a goalie. I want my kickers to give me large amounts of rebound so I can clear shots really fast, the new Hi Rebound kickers do this. I want legguards to offer a really big surface area yet still be able to move freely, I also want high rebound but at other times great control, yet again the new Hi Rebound’s do this. 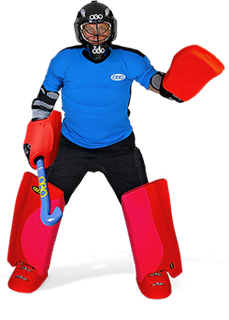 The left hand glove also gives me great rebound so I can save shots as quick as they come at me! I love my helmet, its about one year old now but is still as good as new. 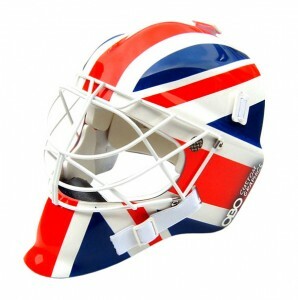 I previously used the bauer helmets and the slazenger one, neither can even compare. The obo fits my head really well, it covers my whole head offering great protection but is still just as light as my old one. I have had a 90 mph ball in the visor and it just pinged right off it. No headache no nothing! Having undergone rigorous shots to all parts of it, it hasn’t weakened in any way; it’s a great helmet. The graphics are also great on the custom painted helmets, as we all know looking great is important! cheers thats useful.. I'm starting to buy my own gear now, bit by bit. So it's good to have good reviews by good keepers. where can i buy a custom graphic helmet? ive been looking everywhere and still cant find anywhere.